You are currently browsing the The Pet Product Guru blog archives for September, 2017. People with Type 1 Diabetes can monitor their blood sugar levels during the day but at night, while sleeping, their blood sugar levels could drop dangerously low and could cause coma or even death. That’s where our best friends come in. There are dogs that could be trained to sniff out a specific scent in the human breath that can indicate rapidly dropping blood sugar or low blood sugar levels. These dogs are trained to touch or nudge the person so that they wake up and take care of the problem. It also informs them that they should get something to eat to prevent hypoglycemia, or their blood sugars getting to a dangerous level. The canine partner can also be trained to retrieve juice or glucose tabs, get an emergency phone, or get help from another person in the house. Dogs are evaluated when they are puppies to determine whether or not they could be trained to be a Diabetic Assist dog. 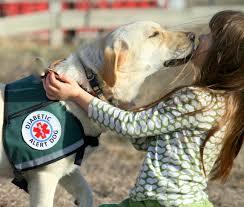 Once it’s determined that the pup can be trained to assist patients with type 1 Diabetes, they begin scent training. A person experiencing hypoglycemia produces a particular scent, found on the breath, due to chemical changes in their body. All people produce the same scent when they have low blood sugar. These incredible animals not only provide love and companionship but they can be vital to survival for persons with Type one diabetes! Before you hit the streets with your city dog, make sure that you teach him a few basic commands. “Sit” and “stay” always works when you’re waiting for a traffic light to change. “Heel” keeps in close to you when you need control on crowded city streets. “Leave it” is helpful if he picks up something that he shouldn’t eat. “Come” can be a life saver if he slips through his leash. As a city dog owner, it’s really up to you to keep your dog out of harms way. Make sure that you are respectful of other people you may meet. Not everyone is a dog lover even some dogs can be wary of your dog. Always ask before you let your dog approaches someone or another dog. Most important, you should learn you citys’ leash, license and pooper scooper laws. They are written to protect you, your dog and the entire community. 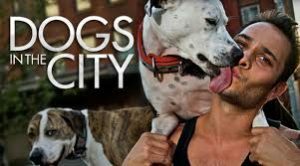 City etiquette is not just for those “shi shi” dogs with the fancy clothing and diamond studded leashes but it’s for all dog owners who live in a city environment. All of your oldies in one place. Try our online oldies station, Edgewater Gold Radio! Listen from our website: Edgewater Radio Network. Download our free Edgewater Gold Radio app. Play Edgewater Gold Radio on Alexa. The last weekend of Oct. here in Rehoboth Beach is the annual Sea Witch Festival. One tradition is that many people dress their dogs in all sorts of great costumes. 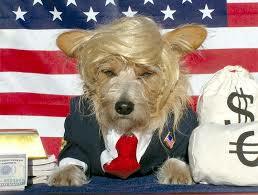 There lots of Miniature Schnauzer’s dressed as everything from princesses to Donald Trump. I thought that I would provide some information about the Miniature Schnauzer today. The Miniature Schnauzer is a small sturdy dog with a square head. They are very intelligent, active and happy dogs. They get along great with children and really enjoy being around “their” people. The are loving, affectionate and docile animals. The Schnauzer makes a very good family pet. They cannot sense that they’re stronger minded than their owners or they won’t listen. So you must be firm with them. These dogs are easy to travel with as they love to go on trips with you. Don’t overfeed them because they tend to gain weight easily. The Miniature Schnauzer makes a good apartment dog. They will be calm indoors as long as they get plenty of exercise. Take them for long walks on their leasg but be sure that you’re the leader and that they get enough exercise. Their life expectancy is about 15 years and they usually don’t show signs of old age until late in life. Their wiry coat isn’t hard to groom. Comb and brush them daily with a short wire brush to prevent matting. The Miniature Schnauzer is a German breed. During the turn of the century both smooth German Pinscher’s and coarse hair Schnauzer pups appeared in the same litter. Every year, proud greyhound owners get together in Dewey Beach and Rehoboth Beach for a series of fun dog-themed events. This year it takes place Thursday, Oct. 5 through Sunday, Oct 8th. The event celebrates our greyhounds. It also creates awareness of the need for foster and adoptive homes for these wonderful animals One of it’s purposes is to raise some funds to support greyhound adoption. The events brings Greyhound owners and their best friends together to celebrates their lives together. The event features top speakers from the greyhound and sighthound world, including behaviorists, veterinarians, counselors, adoption professionals, and international breed experts. According to Rehobothbeach.city, the event will feature over fifty vendors in many locations in the Dewey Beach and Rehoboth Beach area along with food, special events, an ice cream social for the hounds, and more. 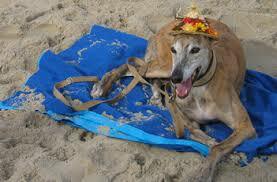 There are many events around the US that celebrate our Greyhounds. These dogs are gentle and loyal and make wonderful pets. The need for adoption into great homes really exists for these wonderful companions. Our online radio station has been playing the best variety of oldies going back to the 50s, 60s 70s and 80’s plus great pop standards! Listen now and enjoy Edgewater Gold Radio! You may also listen from our website: The Edgewater Internet Radio Network! What Are The Best Dogs For Your Astrological Sign? If you’re going to adopt a new best friend, one of the biggest challenges is determining which dog is right for you. Wishing Moon has put together a list of dogs that are associated with astrological signs. So here’s a list which may help you make that all important decision. Aries – Corgi – They are good tempered, easy to please and don’t let those little legs fool you. They can run for miles! Taurus – The Greyhound -A chilled out little Greyhound is perfect for a Taurus who loves a cuddle on the sofa. A laid-back Taurus may not want a dog that is an absolute rocket when it comes to their temperament. Instead, they want a dog that is going to want to chill out with them whenever they can. Gemini – Jack Russell – Juck Russells are friendly, playful and clever. Perfect for a Gemini! Cancer – Golden Retriever or Lab – This sign loves to cuddle and enjoys lots of loving attention whenever they can, plus they often look after the people around them. A dogs such as Golden Retrievers are known to be guide dogs and other service pets for people will health problems, which means they match perfectly for Cancer’s affectionate, caring nature. Leo – Bernese Mountain Dog – The are loyal, hardworking and energetic. just like a Leo. Virgo – Springer Spaniel -Virgo’s are the natural helpers, so hard working Springer’s with cute little faces will make yours heart melt! This breed is excellent because of their attentive and alert nature, which is similar to a Virgo. This means they always know what’s going on and also have a good eye for detail, always on a roll! Scorpio – Doberman – A Doberman is a dog breed that can often be misunderstood. Some see it as an aggressive breed. This often puts many people off. . In reality, these dogs are actually sensitive, who are extremely loyal to their owners. Dobermans are fearless yet very caring, making them and Scorpios work great together! Both will protect each other which establishes a loving bond! Sagittarius – German Shepherd – The are confident, Intelligent and assertive. Capricorn – Siberian Husky -Very friendly and gentle with an easy going social personality, a Siberian Husky and a Capricorn would be perfect for each other! Aquarius – Beagle – The are unique, hard working and like to stand out. Pisces – Pug -They are both sensitive and caring. Pisces is a sign that will be devoted to their loved ones, always offering support and attention. Pugs are affectionate and love receiving plenty of fuss! People born under the sign of Pisces are often seen as very charming individuals, often drawing people towards you. This is the same with the Pug, because they are a very popular dog that people love to be around. Together, a Pisces and a Pug will enjoy a cute bond together that will always be very affectionate. Again, thank you to Wishing Moon for providing this interesting information. Oldies are great for all signs! The oldies sound best on Edgewater Gold Radio! The best oldies of all time. Listen today and download our free Edgewater Gold Radio app. Listen from our webiste: The Edgewater Internet Radio Network! 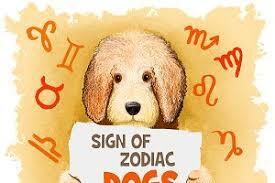 add comment Comments Off on What Are The Best Dogs For Your Astrological Sign? 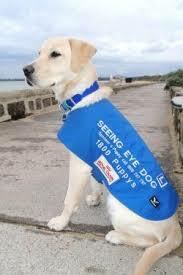 A future seeing eye dog spends 18 months to two years of it’s life with a puppy raiser. He teaches the pup basic obedience. Following this period, he’s introduced to a certified trainer. The trainer first reviews the dogs basic skills, then goes on to teach the three important commands a seeing eye dog must know. In the formal training phase, the dog learns other important skills such as how to manage curbs, how to maneuver around objects and how to deal with street noise and traffic. Once he’s master these skills, the dog is paired up with someone who’s blind. With the help of the trainer, the seeing eye dog and his new blind friend learn to navigate the world together. Enjoy your weekend and keep the oldies playing all the time. Edgewater Gold Radio – plays all the variety of the 50’s through the 80s plus standards! Listen on Tunein, Alexa (Say “play Edgewater Gold Radio on Tunein”) or on our own Edgewater Gold Radio app. If our beloved pet is sick or requires special medical care, sometimes we have to make sacrifices and not always think about ourselves. My cat Molly, who is 18 has renal disease and thyroid disease. She requires a special diet and medication given at special times. She also must be fed small amounts of food many times throughout the day. It is vital that she is kept well hydrated all the time. In order to make sure that Molly is getting everything she needs, I need to be with her almost all the time. She is only used to me and even listens to what I tell her. So over the past year, outside of day trips, I have not travelled. Early next year, my nephew is getting married and we need to go to north Jersey for the wedding. My partner and I have been discussing this because if Molly is still with us and is responding to well to her treatments, we will take her with us along with all of her medications. We have already chosen a pet friendly hotel where we will stay for one night. We do what we need to do for our beloved pets. This is how I roll, many people would not even consider making any sacrifices for their pets. A pet is like a child and over the years, Molly has given me so much unconditional love so I owe this to her. I just wish there were more people in the world that would feel the way I do about their pets. 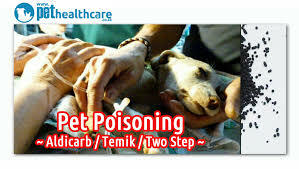 Pet medical care can get very expensive. Ask me, I know from what I’m experiencing with my cat Molly. She has regular visits and tests done to monitor her renal and thyroid disease. Her medication is also very expensive. 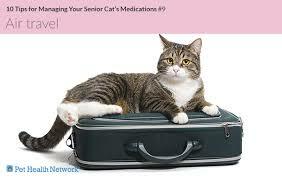 We usually don’t budget for our pet medical care. It’s just a given, we do what we have to do for our beloved pet. You may consider purchasing pet insurance but you have to be careful and clearly understand what is covered and what’s not covered. 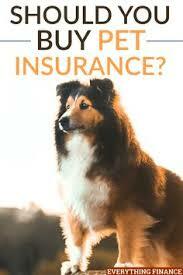 Here are some tips when considering pet insurance. Always consider lifetime coverage. According to the Guardian, lifetime coverage is designed to pay for any chronic or recurring condition during the pet’s entire lifetime, compared to other policies which might refuse cover once they reach a certain age, or because of pre-existing medical conditions. 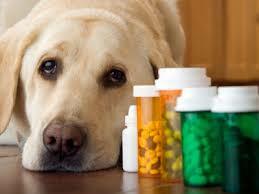 Trouble is, it is expensive: for a labrador it can cost four times as much as basic accident-only cover. Always read the small print. Look for the best coverage rather than the best price. Don’t pay for unnecessary coverage. If you’re never going to take your pet abroad, you don’t need European coverage.If you don’t live on your own you won’t need emergency boarding coverage. A couple of these things can lower the cost. Do your research and compare coverage. Make sure you are getting the proper coverage for what you’re paying for. All oldies that make your day. Listen to our online radio station. Edgewater Gold Radio. You can also listen from our website. The Edgewater Internet Radio Network. Recently in our community, someone found a dog treat with a tac inside. Remember there are really some sick people out there. He always came when I called him especially if I put out a fresh bowl of food.. One day, I called and called and my cat never came running like he usually did. As I searched all around, I stopped and peered into my neighbors yard, and there he was lying dead in front of my eyes. He’d been poisoned by the grouchy old next door neighbor. This guy had a garden and didn’t want my cat walking through it so he took it upon himself to solve the problem and poison him. The sight of my poor cat lying there never left me. Some people really hate cats and dogs and in my opinion, these people are sick. Nothing ever happened to the old crotchedy neighbor because my parents did not want to cause any trouble in the neighborhood. My dad just took the cat and buried it. I always insist, that if you’re a cat lover, please keep you cat indoors and safely away for those screwball neighbors who may do him harm! The best oldies play all the time on our online oldies radio station. Edgewater Gold Radio! Listen from our website, The Edgewater Internet Radio Network. When it comes to feeding your dog, the first step is to determine the correct quantity of food to give him in order to maintain a healthy weight. Next, it’s critical that you establish a routine. 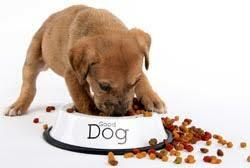 Offering your pet meals at the same time every day can promote digestive health and regular bowel movements. For dog owners, this can add up to predictable walk times. Your pet will also feel more secure knowing that meals come at regular intervals and this security can create a stronger bond. Knowing when your dog will be hungry can also be used to plan a training session. Part of your pets meal allotment can be offered as rewards instead of dog treats. Dietary changes should be made gradually to help reduce upsets and unpleasant surprises. Remember, your pets count! Your favorite oldies are playing right now on Edgewater Gold Radio. Listen to our online oldies station for favorites from the 50s 60s 70s 80s and popular standards! You may also listen from our website. The Edgewater Internet Radio Network!